When searching for the perfect home, many of us look not only for the bare necessities, but also for those little touches and quirks that will set our new abode apart from the rest. There is arguably no easier way to set yourself apart than by purchasing a property crafted by a world-renowned architectural firm. For any house hunter looking to procure his or her own piece of architectural history, we’ve compiled a list of four such homes currently on the market. The Sapphire occupies a corner on Chausseestrasse – an area steeped with history. Just metres from where the Berlin Wall used to divide the city, this plot of land was once home to the Wulffersche iron factory, which was seized from its Jewish owners during World War II. The building’s ultra-modern design isn’t limited to the sharp edges and abstract angles of its surface. Its metallic façade is said to be self-cleaning and air-purifying, setting the bar for heightened new ecological standards, putting it several steps above other property for sale in Germany. 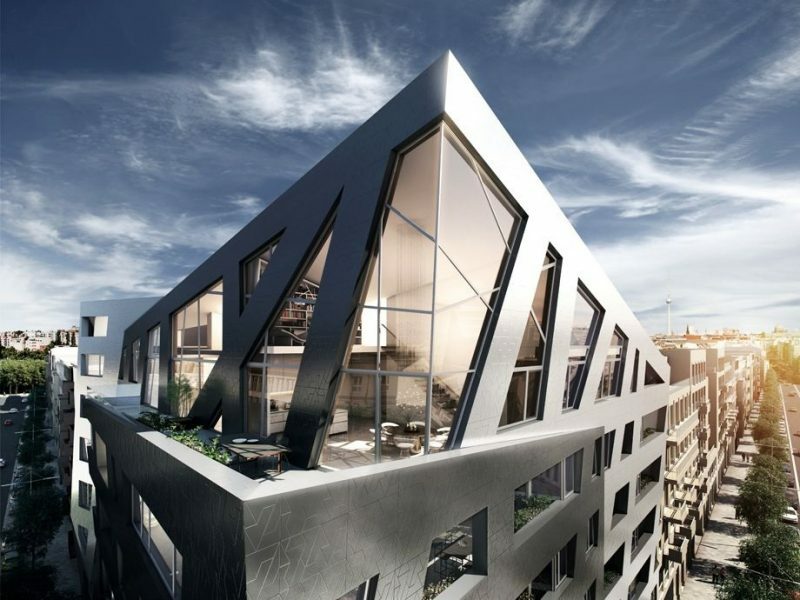 Studio Libeskind, run by Daniel Libeskind and his wife Nina, was established in Berlin in 1989. It now has headquarters in New York City and Milan. During his formative years, Daniel Libeskind developed deeply-rooted passions for music and philosophy, which he believes contributed to his gift for evoking cultural memory in buildings. Among the studio’s most notable projects are the Jewish Museum in Berlin and the redevelopment of the World Trade Center in Lower Manhattan. The Studio Building, designed by legendary architect Henri Sauvage, is located in Paris’ 16th arrondissement –the historic stomping grounds of French high society. 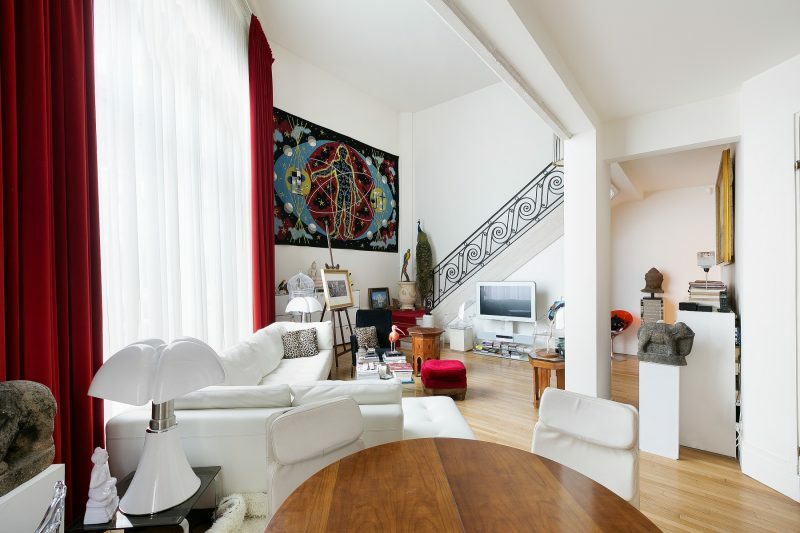 Built in 1927, the former artist’s studio has hosted such illustrious guests as Henri Matisse. The luxury apartment building is recognized as an example of Art Deco style, which ischaracterized by the pursuit of beauty in all aspects of life and the use o frich colours and lavish ornamentation. France’s Ministry of Culture classified the building as a historic monument in 1975. Henri Sauvage was a pioneer of early French Art Deco architecture. Concerned with the problem of providing more light and air to low-income apartment buildings, he invented and then patented the idea of “stepped house,” where the higher floors were like steps, each set back from the one below, providing space for a terrace. This style was subsequently used by numerous architects to create larger and larger buildings. Vista Chelsea Bridge, one of the latest projects designed by Scott Brownrigg, is due to be completed by summer 2017 as part of the eagerly anticipated redevelopment of the Nine Elms/Battersea Power Station areas in London. 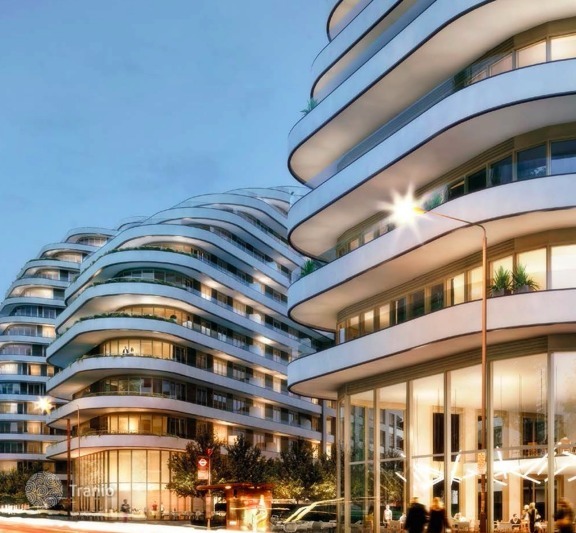 Located just opposite the Grade II Listed Battersea Park, the buildings are remarkable for their C and L-shaped design combined with contrasting materials, organic and curvilinear forms. The innovative design even won the commendations of the jury at last year’s prestigious Sunday Times British Homes Awards. The two apartment buildings are made up of 456 flats, duplexes, and penthouses with garden terraces. Scott Brownrigg, an architecture firm established in London in 1910, is ranked among the top 20 industry leaders in the UK. The firm’s architectural philosophy is anchored in respect for both historical values and the needs of future generations. Such successful projects as Google’s London office and the Larnaca Port and Marina in Cyprus have cemented Scott Brownrigg’s global reputation for excellence. 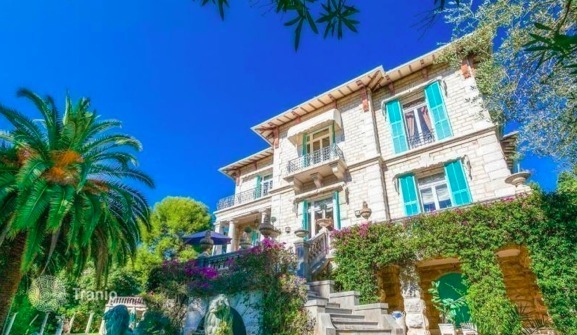 This historical mansion in Roquebrune-Cap-Martin on the French Riviera was designed by famed Danish architect Hans-Georg Tersling. Just a 10-minute drive from Monaco and a 10-minute walk from the beach, this stunning property is located in a prestigious neighborhood where properties rarely go on the market. This 19th century stone villa was designed in the same neo-classical style exemplified by the then relatively new White House in Washington D.C. Those on the prowl for luxury villas in France will be enamored by this one’s historical prestige and ornate interior. Hans-Georg Tersling was the architectural darling of his day among Europe’s aristocratic set, particularly along the French Riviera. His clients also included three empresses (of France, Russia and Austria) and several politicians. His works are considered to be extraordinary examples of the Belle Epoque era.